Head of government’s Needs Assessment Team, Minister of Citizenship, Winston Felix, addressing yesterday’s meeting. 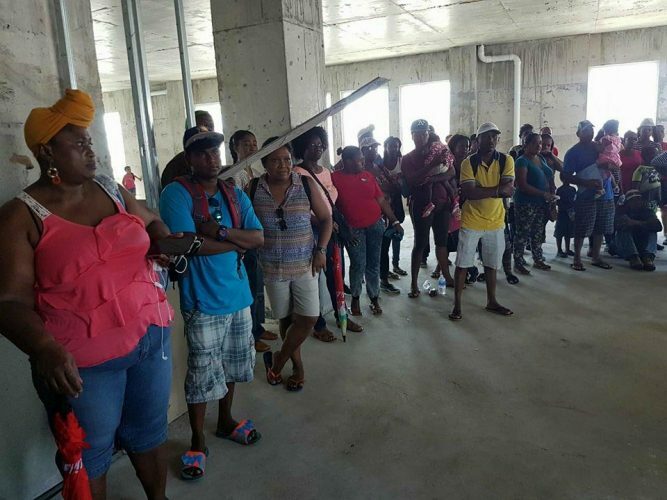 Dozens of Guyanese in the hurricane-ravaged British Virgin Islands (BVI) poured their woes out to a government team yesterday amid worries about the shortage of food and water, immigration issues and schooling for their children. 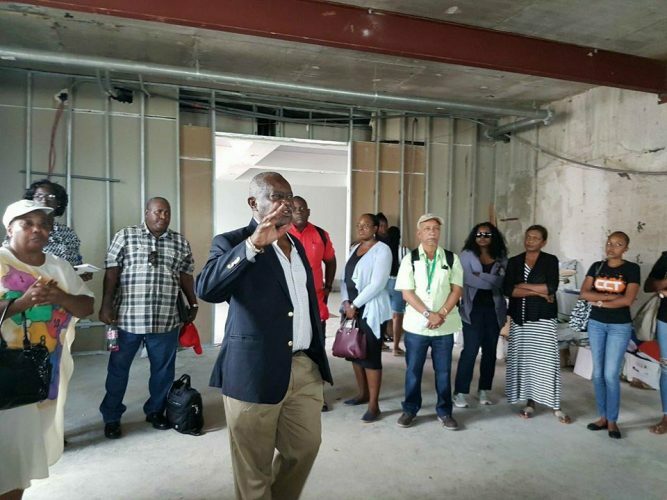 Getting their children into the Guyana school system while the island chain rebuilds following the destruction wrought by Hurricane Irma was one of the main concerns of persons who met with government’s needs assessment team yesterday in the main BVI island of Tortola. “One of the very important things that we are going to need, especially for children that are going back is to what region of Guyana they are going. 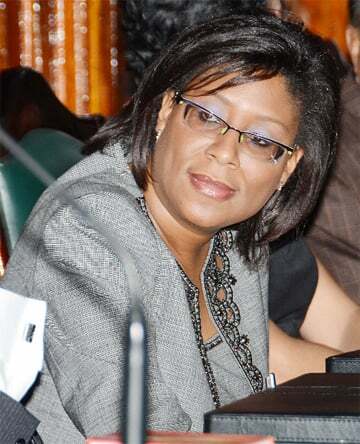 Because obviously if they are going to have to be absorbed into schools, government will need to know if it is Region 9, or region whatever,” a member of the government’s Needs Assessment Team, told attendees yesterday in Tortola. 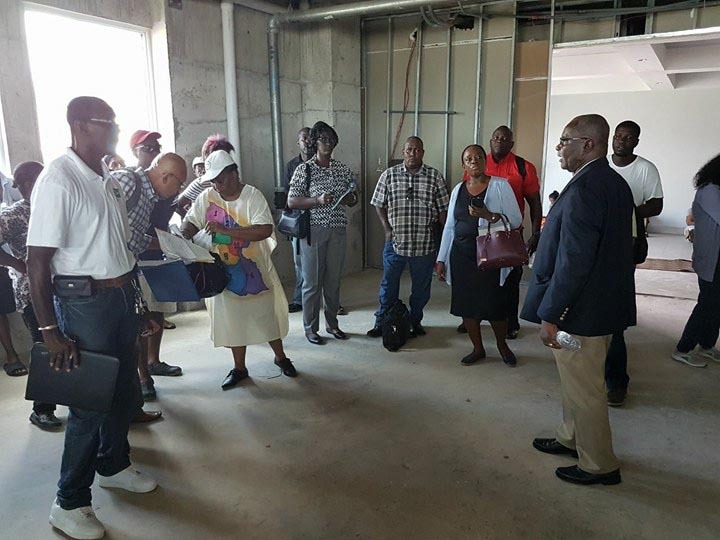 The Guyana Government on Saturday dispatched a team, headed by Citizenship Minister Winston Felix to several Hurricane Irma-ravaged islands to assess needs and yesterday wrapped up a series of those meetings on Tortola, following visits to Antigua and Barbuda and St Maarten. Attendees listening to Head of government’s Needs Assessment Team, Minister of Citizenship Winston Felix. A section of the attendees at yesterday’s meeting in Tortola. A resident seeking immigration advice from one of the members of the team. Over 200 persons turned out for yesterday’s meetings with some explaining that many more wanted to come but because of logistics and time could not do so. Many living on another island, Virgin Gorda still have no communication with the main island and others would have had to leave early in the morning to spend a full day in Tortola before returning. Felix was unable to leave with the team on Saturday morning for Antigua and St Maarten as he missed the Liat flight out of Ogle but he joined them yesterday in Tortola. 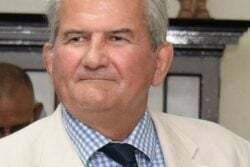 He held interactive sessions with the Guyanese diaspora, met with the family of Derek Ragnauth who was killed during the storm two weeks ago, and he also toured the island to view the devastation. 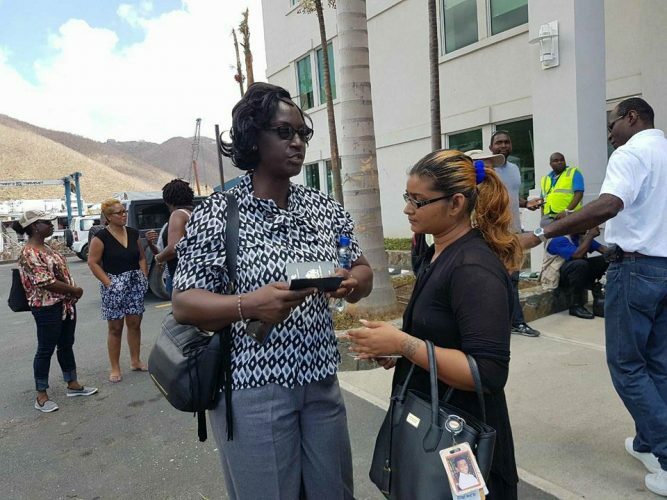 From a video of the meeting with the government’s assessment team seen by Stabroek News, persons enquired about the process of returning home, especially for their children and being able to return to the BVI when the situation improved. 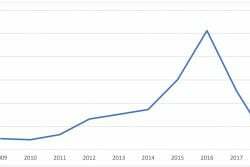 “It is almost a given, especially for those children going to the public schools…the only public High School in Tortola has been deemed one of six locations unfit for human use. This means that legally we cannot even go there and drive a nail into the walls to make the place better. 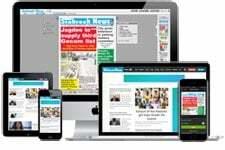 The priority has been given to the CXC students, Grade 11 and Grade 12,” one parent said. The issue of immigration and getting their children out was another concern. “This is not a simple process, just jumping on a plane and getting out. There has to be order. There is all kinds of agencies involved. There is the department of immigration involved, there is the police involved and the customs. We are all here, hopefully legally. As a result of that, we have to process ourselves, we have to process our exit, in a way that if or when we decide to return, there will be a record that we left legally. 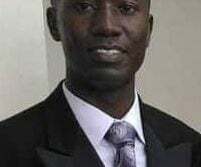 I have been talking to people in the government and that is something they have been repeating and repeating and repeating,” another attendee added. 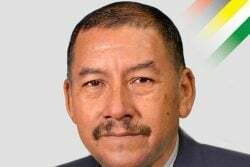 Felix said that when he returns to Guyana he will inform the authorities of their positions for an evacuation process to be implemented, and in that event everyone should take advantage of the opportunity. “We need the names, addresses and possibly telephone numbers of those who have relatives to receive them. I don’t want those who do not have relatives to make themselves feel that they should not make themselves known okay. We dealing with everybody,” he said. Another resident explained that most adult immigrant Guyanese on the islands want to stay and would prefer to send their children to relatives in Guyana until the islands are rehabilitated and the schools are fully functional. 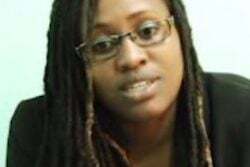 But some pointed out a problem they would encounter since Guyanese in the BVI with children who were born there only have BVI immigration documents and as such they have no Guyanese passports or travel documents. The needs of especially children touched a chord with Felix as he stressed his concern for them both educationally and health wise which he says needs urgent addressing. “(The Island) it is total devastation. My concern is for the children. They are very vulnerable to disease and there is no running water, no electricity and I am fearful for an outbreak of some kind here. 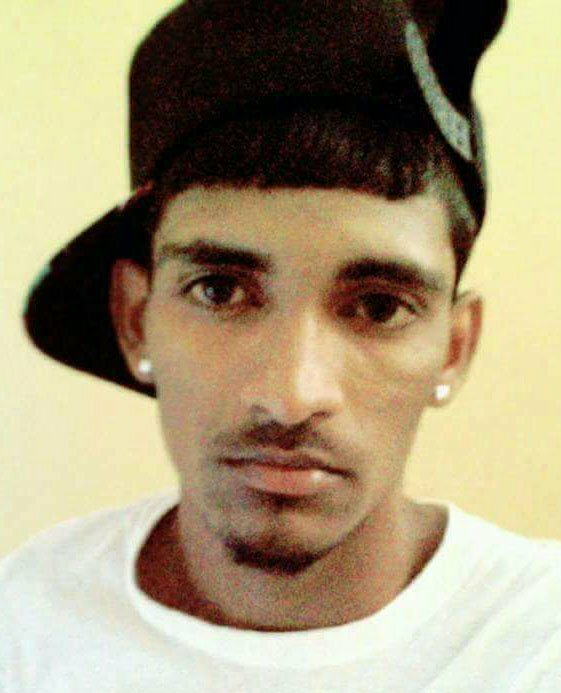 I think that category of life, be it Guyanese or any other, ought to be given immediate consideration,” Felix said. 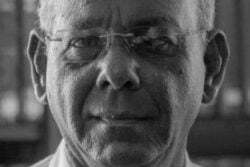 In an interview with a reporter on Tortola, he later said that he had also met with the family of Ragnauth and that they had asked for assistance in getting his body to Guyana for burial and helping the family return to the BVI to rebuild. “This is a situation deserving of all compassion. The family has been bereaved and as you can see on the island opportunities for employment and earning money is a challenge right now. 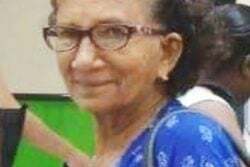 So the Guyana Government, on compassionate grounds, would have to decide the amount of money that would be given to repatriate the body, to have the burial in Guyana and that is where I stand right now,” he stated. 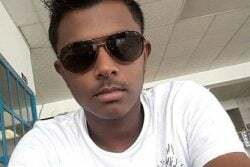 “I have some names of close relatives and other relatives, all they want is to get the body back to Guyana and for us to provide assistance for them to get back here. These people would have lost almost everything and it is only reasonable to consider their request. We will work on that (cost). 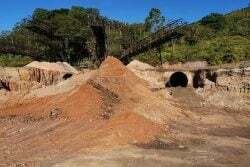 The body has not yet been handed over to them so the issue of burial has not yet been decided on and when that time comes the cost considerations and logistics would be dealt with,” he added. Other issues covered were that there are Guyanese on the island on vacation who couldn’t get out because of the hurricane and now their period of stay granted has expired. As such they said they needed advice on if they have to get an extension and how soon they would be able to leave. Persons also said they wanted to leave because there was no source of income as their employers have lost everything to Irma, mainly the small food shops and restaurants which employ lots of Guyanese. Some of the small businesses they explained are owned by Guyanese. And like their fellow Guyanese in St Maarten, many BVI residents are pleading for direct relief, but unlike the Dutch-run island, theirs will have to come through the British island’s central aid programme. 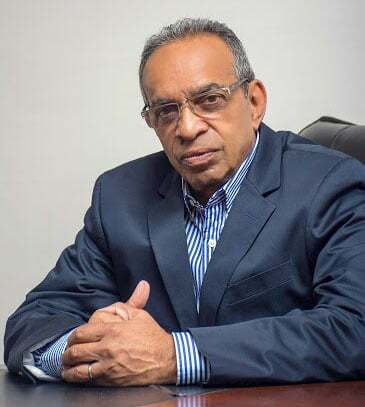 “Persons want the Guyana Government to send relief for them directly but were told by the team that is not possible as that is not how relief aid systems work. 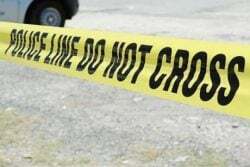 It has to go to the central relief authorities to be distributed widely,” Guyanese, Cathy Richards, who works on the island of Tortola, told Stabroek News yesterday. The government has said that its relief effort was being coordinated through the Caribbean Disaster Emergency Management Agency. Honorary Counsel to St Maarten, Cleveland Beresford, explained that on that island direct relief was possible and was what is needed compared to cash donations. “Over here we don’t need money because if they get money there are few places to buy stuff from anyway. The people are asking for food and water, they are looking for basic relief,” he told Stabroek News in an interview yesterday. “From the meetings here people are saying to me ‘Back home in Guyana we have so much rice and sugar we are in need of those items’. Guyanese here want a help to rally them through this because they will stay and rebuild. This country is not part of CARICOM so a boat can bring items and it can be distributed directly to Guyanese and if others want they too can get. The government here does not mind that sort of thing, it is all in helping persons affected. They can send to the legal representative and through the association we have it distributed. ,” he added. He was quick to point out that while rice is needed it should be in packets of no more than 25lbs each as persons would not be able to use up bags of 100lbs. “The items should be like 25 lbs rice, same with sugar, some oil, flour…chowmein yes things like that and plenty water because the water here comes from the sea and in times like this the machines to filter them are clogged up and not working,” he stated. Beresford said that while his home suffered damage, part of his roof was blown off and furniture and items lost, he is grateful that power has been restored and that he can help others. He said that he is using his home as a central point to assist persons in getting water to bathe and power to charge their cell phones and other equipment. But he also found himself coming in for criticisms for his alleged lacklustre response and non-communication with the foreign ministry here, he said. “People said all kinds of things that the honorary counsel was not responding and this and that, but they did not understand that the honorary counsel himself was feeling the brunt of it,” he noted. “Without power and water I distributed over 750 tarpaulins and other stuff as part of the government effort on this side. It has not been easy but by the grace of God we are here and we have much to be grateful for. 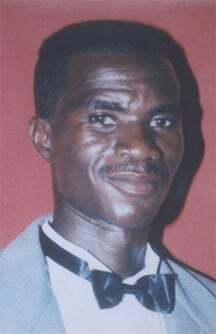 We are now looking forward to government’s help which I am sure will come soon enough,” he added.